Cosmo Bio would like to acknowledge and thank Mabtech AB for providing ELISpot information presented here. Czerkinsky C, et al. 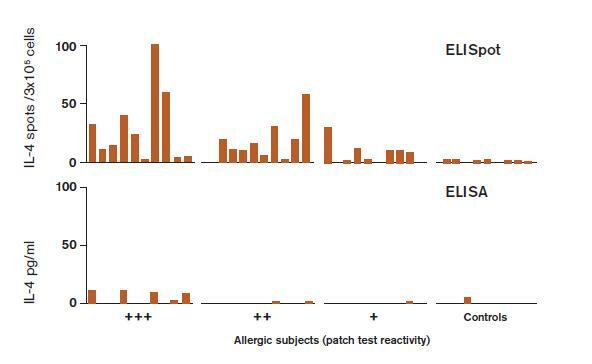 Reverse ELISpot Assay for Clonal Analyses of Cytokine Production. 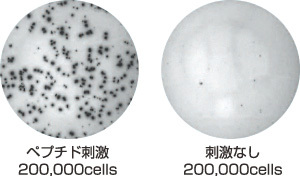 I. Enumeration of gamma-Interferon-Secreting Cells. J. Immunol. Methods 110: 29, 1988. Sedgwick JD and Holt, PG. 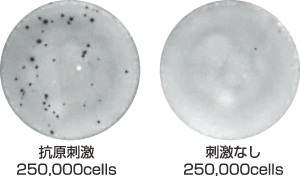 A Solid-Phase Immunoenzymatic technique for the Enumeration of Specific Antibody-Secreting Cells. J. Immunol. Methods 57: 301, 1983. Czerkinsky C, et al. 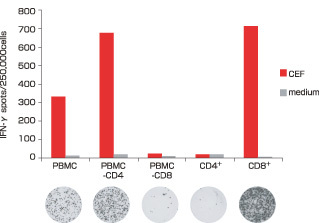 A Solid-Phase Enzyme-Linked Immunospot(ELISPOT) Assay for Enumeration of Specific Antibody-Secreting Cells. J. Immunol. Methods 65: 109, 1983. Zuber B, et al. Detection of human perforin by ELISpot and ELISA: Ex vivo identification of virus-specific cells. J. Immunol. Methods 302: 13, 2005. Ewer K, et al. Comparison of T-cell-based Assay with Tuberculin Skin test for Diagnosis of Mycobacterium tuberculosis Infection in a School Tuberculosis Outbreak. Lancet 361: 1168, 2003. Liu XQ, et al. Evaluation of T-cell responses to novel RD1- and RD2-encoded Mycobacterium tuberculosis gene products for specific detection of human tuberculosis infection. Infect. Immun. 72: 2574, 2004. Jakobson E, et al. Cytokine production in nickel-sensitized individuals analysed with enzyme-linked immunospot assay: possible implication for diagnosis. Br. J. Dermatol. 147: 442, 2002. Ewen C and Baca-Estrada ME. Evaluation of interleukin-4 concentration by ELISA is influenced by the consumption of IL-4 by cultured cells. J. Interferon Cytokine Res. 21: 39, 2001. Currier JR, et al. A panel of MHC class I restricted viral peptides for use as a quality control for vaccine trial ELISPOT assays. J. Immunol. Methods 260: 157, 2002.